At a press reception at the Garden Theatre in Detroit on Sunday evening, Cadillac introduced the 2020 XT6. The new three-row crossover centers on a luxurious, adaptable, and connected cabin, along with responsive handling and a suite of standard and available safety technologies. 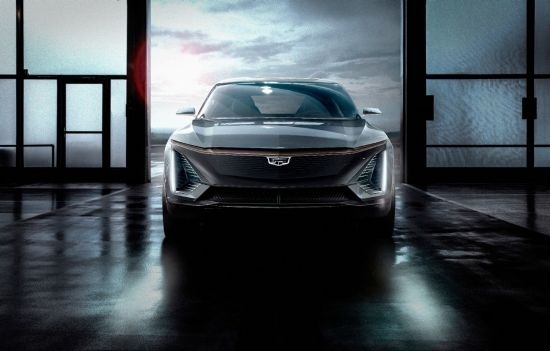 In addition, Cadillac revealed the first model derived from GM’s future EV platform. The platform will allow the company to respond quickly to customer preferences with a relatively short design and development lead-time. The Cadillac portfolio will eventually benefit from a variety of body styles that can be spun off the same platform architecture. The most advanced components are the drive units and battery cells, both of which are being designed for maximum usability throughout GM vehicle lineups in different countries. The EVs can be configured in front-, rear-, or all-wheel drive, and the output of their battery systems will be adjustable based on vehicle and customer needs. Overall, Cadillac is on pace to introduce a new model every six months over the next three years. Meanwhile, a video the automaker presented Sunday evening showed a gentleman on a street activating a phone app that summoned a connected Cadillac SUV. Inside, the back of the front seats allowed for a multi-screen presentation for rear passengers. The automaker also said it will be updating its Super Cruise self-driving system in the coming months. Available comfort features help ensure all passengers have a luxurious experience in every seating row, including Cadillac’s first Bose Performance Series sound system with 14 custom-tuned speakers. Additional available features include semi-aniline premium leather-appointed seating; Cadillac’s in-vehicle air ionizer; automatic heated/ventilated front seats and heated second-row rear outboard seats, and a standard automatic heated steering wheel. XT6 offers a suite of driver assistance and safety technologies that can help drivers be more aware of their environment. They include sophisticated radar-, camera-, and other sensor-based technologies. The latest Cadillac user experience provides more ways to interface with the system, including one-touch phone pairing via Near Field Communication, and a new rotary controller with intuitive jog functionality. And when it comes to plugging in, all models come with six USB ports (two for each row of seats). The 2020 XT6 will be manufactured in Spring Hill, Tenn., and available for ordering this spring. Pricing and additional information will be announced closer to the start of production.